Researcher and practitioner of public policy. Urbanist and proponent of interdisciplinary, community-oriented problem solving. Lover of walkable, mixed-use neighborhood planning and the connectivity and vibrancy of transit-oriented development. You can review my CV for details. 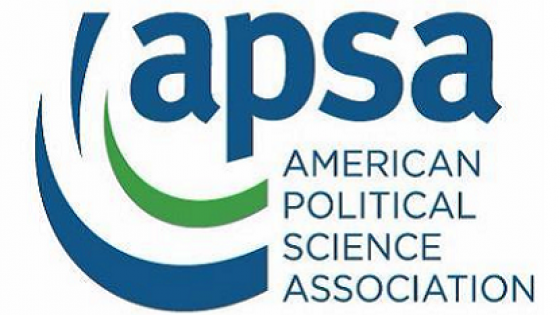 Honored to be a Founders’ Fellow for the American Society for Public Administration and to continue my research at American University through their doctoral program for public administration and policy and as a contributor in the Metropolitan Policy Center. Mobility as freedom is a focus in my work. I’ve advanced the cause through the gamut of public policy, urban planning, and project management. As a partner in Smart Growth America's National Complete Streets Coalition, I advocate for infrastructure that serve all modes of transportation and people of all abilities. With Principal Planner Tim Gambrel, I drafted the City of Birmingham’s complete streets ordinance which was adopted by the City Council on March 6, 2018. Then I worked with UAB to implement complete streets projects as they seek to build a multimodal urban campus. Now I work with City Councilor Darrell O’Quinn to introduce new options such as micromobility, microtransit, and bus rapid transit. Inspired by the Charter of the New Urbanism. Guided by the public service ethics of ASPA, APA, and ICMA. I'm grateful to a wide network of public, civic, and academic mentors for supporting me. They give me the confidence to find smart, sustainable, and equitable improvements for any problem. Graduate of the University of Alabama at Birmingham with a Master of Public Administration, a specialization in public management and planning, and 4.0 GPA. This rewarding program has enlarged my scope as a practitioner and sharpened my questions and techniques as a researcher. I anticipate needs and take initiative in delivery. I developed this style of servant leadership as president of the International City/County Management Association, and again as vice president of the Graduate Student Government where I was selected for the Morris Award in recognition of my service to the university. Proud to have built new traditions and capacities in both organizations. I serve on the Board of Directors for the UAB MPA Alumni Society where I developed the MPA Alumni Mentor Program and chair the scholarship committee for investing in tomorrow’s public and nonprofit leaders. I also serve on the Board of Trustees for the Awesome Foundation - Birmingham awarding monthly mini-grants of $1,000 to people and small organizations with ideas for how to make our city and community more awesome! I coordinated over $3 million in intergovernmental funds for the University of Alabama at Birmingham including projects for Congestion Mitigation and Air Quality (CMAQ) and Advanced Planning, Programming, and Logical Engineering (APPLE) planning grants. Further, I wrote our proposal for the Transportation Alternatives Program (TAP). We are building a multimodal campus network with green bike lanes and improved pedestrian facilities. We aim to make mobility safe, accessible, and pleasantly beautiful on our campus. I worked with Principal Planner Tim Gambrel to develop the City of Birmingham's complete streets ordinance which was adopted by the City Council on March 6, 2018. My policy analysis and demographic research mitigated political and engineering concerns about the impact of complete street design on traffic. Further, I quantified the positive effects of complete streets on public safety, public health, sustainability, and economic development. My report includes strategic placemaking projects for pedestrian, bicycle, and bus rapid transit corridors, and concludes with policy recommendations for increasing return on investment; namely, mixed-use zoning, form-based codes, and shared mobility. As a Public Policy Fellow, I developed the comprehensive Housing Resources Guide so Alabamians can find needed assistance. This guide includes all federal and state programs in addition to all housing authorities, local resources, and nonprofit services in Alabama's 7th Congressional District. Serving on Congresswoman Sewell's staff was a great honor. I provided constituent services and case management in her Birmingham office.